Get Liza Tickets for $25! 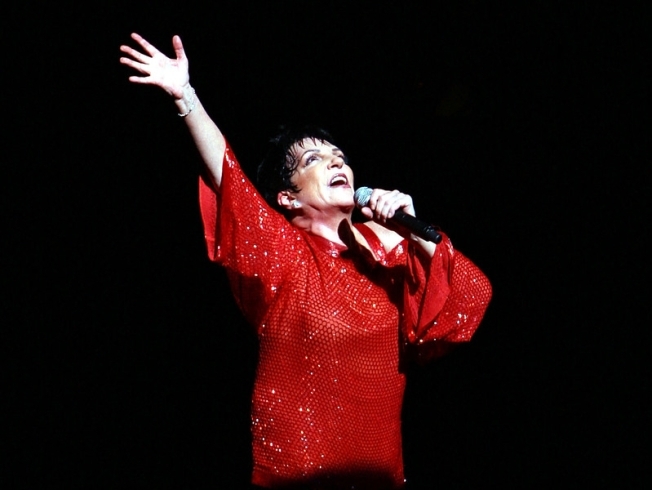 Singer Liza Minnelli takes her curtain call at the opening night of "Liza's At The Palace?!" on Broadway at the Palace Theatre on Dec. 3. Liza Minnelli is singing her heart out on Broadway this month, and the front row seats may be the bargain of a lifetime at $25. Commanding the same stage her mother played in the '60s, Minnelli delivers hits such as "Cabaret," "Maybe This Time," and the capstone "Theme from NewYork , New York ." "Liza's at the Palace," which already extended to four weeks from two, will run through December 28. The original plan to offer all the front row seats through a daily $25 lottery has been changed somewhat. While the seats are still just $25, they now go on sale at 7 p.m. first-come, first served. Though people have been lining up at the box office as early as noon to get the front-row seats. But the line can be a show in itself, according to some of the waiters. The Palace Theatre, a Times Square vaudeville stage until it went legit in 1965 under The Nederlanders. In 1967, Judy Garland starred in a vaudeville show at the same venue called "At Home at the Palace."